Janet Brunners past health problems led her and her husband to farm in a fashion they couldnt have imagined some years ago. Today they are excited about what they are doing, and confident that they can help others attain better health by eating real foods  in particular, the healthy fats available in unprocessed whole milk products. The Brunners Midvalleyvu Farms is a family-owned, MOSA Certified Organic, Grade A Dairy farm located in Pepin County, Wisconsin. The family consists of Wayne and Janet Brunner, sons Jacob and Joseph, oldest daughter Becky and her husband, Josh, and their daughters, Jordin and Alexandra. 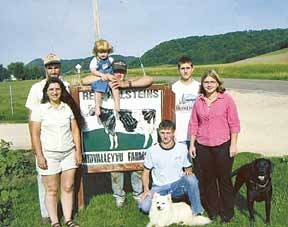 Midvalleyvu is one of the few true family farms left in the state. The Brunner family has owned this farm since the 1940s, and Wayne has carried on this family farm tradition since his folks retired and built a new home across the road two decades ago. They work about 350 acres of land and milk about 85 cows. Wayne said in times past he was like most younger dairy farmers: ambitious to grow more crops, put more milk in the bulk tank, and get a bigger milk check, without thinking much about milk quality except how it might affect his premium payments. In the mid-1990s, however, Janet became very sick, and conventional doctoring, including visits to the Mayo Clinic, wasnt coming up with any answers. One doctor told her she had advanced cancer, and there wasnt anything they could do for her. Her weight fell below 100 pounds, and she was quite weak. Janet says she was finally helped by a naturally-minded physician who diagnosed her as having candidiasis, a yeast-like fungi infection that grew out of control in her gastrointestinal tract. 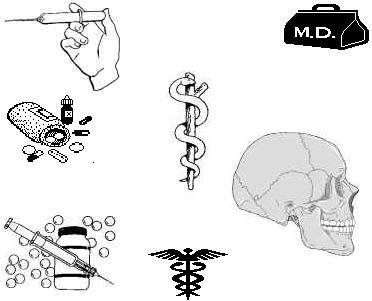 The doctor suggested a change in diet to more natural foods might help. The Brunners did so, Janets health took an about-face for the better, and today she reports being fully free of her past ailments. Key in her recovery, she believes, has been the change in their eating habits as guided by the counsel they have received from the Weston A. Price Foundation. Dr. Price was a Cleveland dentist, who in the 1930s traveled the globe to study the health of populations untouched by Western civilizations. Stunned by their beautiful straight teeth, he researched their traditional diets and found these isolated people were eating 10 times the norm of fat-soluble vitamins from animal foods such as butter, fish, eggs, shellfish and organ meats  the very cholesterol-rich foods now shunned by Americans as unhealthy. Following this line of thinking, the Brunners have gone to eating mostly whole, unprocessed food. They use animal fat, especially butter, liberally, and are drinking their own milk from their own bulk tank. While the Nourishing Traditions cookbook is highly pro-dairy products, its counsel runs against many of the standards that have long been the norm for Wisconsins dairy industry. Its emphasis is on eating full-fat milk products from pasture-fed cows, preferably raw or fermented, such as raw milk, whole yogurt, kefir, cultured butter, whole raw cheeses, and fresh and sour cream. The Brunners believe in these principles and are critical of the effects of pasteurization and homogenization. Basically all that heat destroys the enzymes and turns milk into a dead product, which makes it easier for the processor and retailer, but doesnt do consumers any good, maintains Wayne. Furthermore, he adds, the dairy industry shot itself in the foot when rBGH (recombinant bovine growth hormone) was made legal, and he believes its going to turn many people away from conventional milk. This is shameful, believe the Brunners, because they believe raw milk has many health-regenerative properties. Many of their convictions are spelled out in The Milk Book, by William Campbell Douglas, and they have shared their copy of this book with many. As a result of what the Brunners have learned in recent years, Midvalleyvu Farms has drastically changed many of its farming practices. During the farms transition period, Wayne put 80 acres of former crop land into rotational grazing paddocks and was well pleased with the results, estimating that he cut his feed costs by about half. During warmer weather, his cows are on pasture all the time except for returning to be milked in their tie stall barn. Cow cleanliness and herd health has improved considerably as a result of pasturing, he reports. Now, after years of hard work to meet legal requirements and regulations in their state, the Brunners can at last provide fresh, organic, raw milk, butter, cheese, cream, yogurt and buttermilk  all rich in CLA (conjugated linoleum acid)  to consumers who have grown tired of the denatured product available on supermarket shelves. By purchasing a $10 share of stock in Midvalleyvu Farms Inc. (a separate corporation that has as sole asset the milk-producer license), consumers are able to purchase legally any of the raw dairy products the farm sells. The stock share comes with certain terms and conditions that the consumer must agree to at the time of purchase. The Brunners desire to work with others to promote the return of nutrient-dense foods to Americans tables through education and activist activities. They encourage others who share their interest to contact them. Wayne and Janet Brunner can be reached at Midvalleyvu Farms, W8481 County Road Z, Arkansaw, Wisconsin 54721, phone (715) 285-5331, , website www.midvalleyvu.com. The Weston A. Price Foundation can be contacted at PMB 106-380, 4200 Wisconsin Avenue NW, Washington, D.C. 20016, phone (202) 333-HEAL, e-mail WestonAPrice@msn.com, website www.westonaprice.org. Sally Fallons Nourishing Traditions is available from the Acres U.S.A. bookstore.